RAW WAR: Serpent Ascending Interview! Today we sit down and converse with the sole master of the occult Finnish black metal band Serpent Ascending. Let us start talking about the lingering present! From what i understand you are about to soon drop the first full album called "Aṇaṅku", will I, Voidhanger Records release this one as the they did with the last one? and is there a release date? 2. Regarding the album title i assume it is focused around the ancient Mesopotamian deities Anunnaki? What is your view on that matter, in what way do you believe they existed if at all? And how was it to work on the record? Is the music style a continuation from the last or have you transformed in some ways? -Interesting question to which I am unfortunately too ignorant to give a good answer. Actually Aṇaṅku is a different concept from ancient Tamil language and the word was chosen because it is widely unused and unknown, in many senses, but also because of it's meanings of course. This is a nod to my earlier interests towards Indian and Asian esoteric traditions from where the process began though it ended up in something quite different. The album turned out to have emphasis mostly on Northern European culture and identity from which it seeks to find the hidden sacred force that the word Aṇaṅku symbolises in the context. 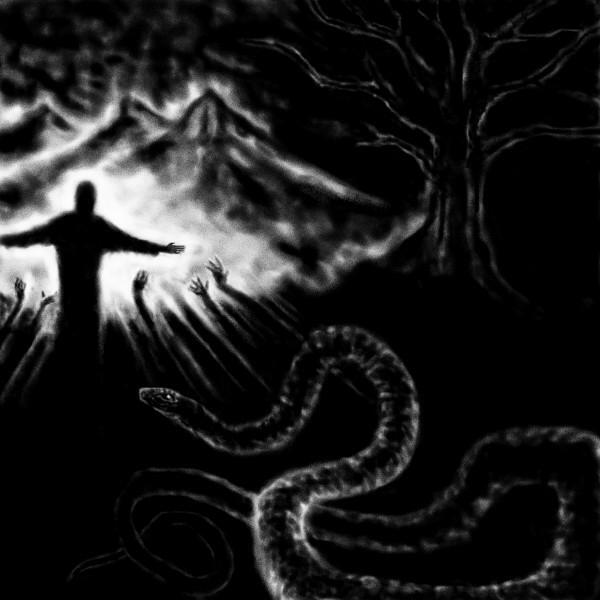 The album is adoration to Earth's and Nature's holiness, soil, blood and death. erroneous, mesmerizing and dreamlike but seeking a direction through all surface level simplifications. 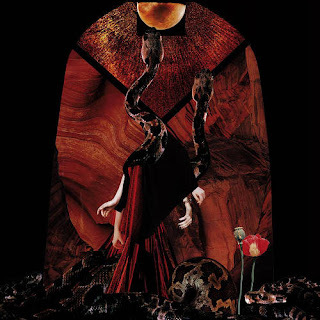 The album picks up some influences from The Enigma Unsettled and takes them further. Making Aṇaṅku was a long process as all the pieces had to fit together and mostly the atmospheric and melodic side of The Enigma Unsettled is audible here and there will be other records that will continue with different themes and influences. 3. I cant say for sure but i got the impression that "The Enigma Unsettled" was the release that put you on the death metal map! How was it back in 2011 when you composed it? I really like the cover art also, who did that one? 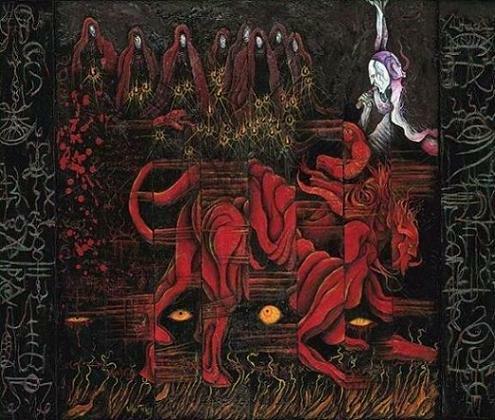 And talking about art, you seem to be into a bit more surreal taste then more traditional death/black metal covers. -The cover art for The Enigma Unsettled was painted by Wiley Trieff who seems to have provided some art for different publications since then. At least I've seen some occult magazines with his art as well as other albums. behind that process was quite different from what we're doing on Aṇaṅku. I'd say that The Enigma Unsettled was more Satanic and occult as theistic concepts. The basic feeling behind The Enigma Unsettled and the process of writing it was more religious than what is going on these days. Regarding the cover art, I don't want to use the usual metal album covers and I want the artists who participate to have total freedom in making their art. They can listen to the songs and maybe I can tell a little bit of what the songs are about but I will never give any guide lines to what kind of art they should create or what symbolism should be included. I believe true artists do have such intuition that they will be able to create visuals that fit the music and album concepts. Cover art for Aṇaṅku was created by Finnish artist Veera Pitkänen. 4. Going back even further to 2008 the year before the debut demo "Serpent Ascending", what made you start up this project? I guess doing all by one self is hard but to have total freedom beats that? 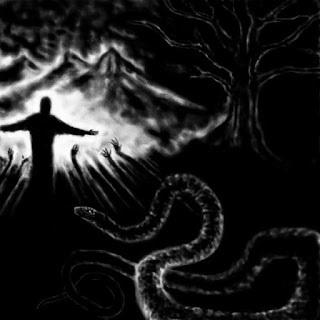 What main interests in the occult was/is important to you and Serpent Ascending? on the luciferian occultism. I had experienced a longer period of lost inspiration but when I found the Luciferian spark within and I was able to re-establish creativity it was the point when Serpent Ascending was founded. From the beginning I wanted to have strict control on the contents of the music and that is why I started everything alone. 5. In one post on the bands fb page you wrote as an answer to some reviewer "Hopefully this reviewer will be one those privileged to witness our downfall on stage as well. This will happen sometime during 2017 - 2030." What was that about and is there some firm plans for any live gigs soon? please tell something about those. and Stoic Death. But from now on I am no longer member of the band and Tommi will continue with Desecresy alone. 7.How do you feel Finlands black/death metal world has been since you entered it? I mean do you feel some hierarchical order and power struggles? -I don't think there's much "hipness" in the Finnish metal scene. seem more honest because there is not so much popularity available. many young and new people get into underground metal nowadays. 8. So the end is here...thanks for your answers and the last word is yours. Daemon Foetal Harvest Double Review!